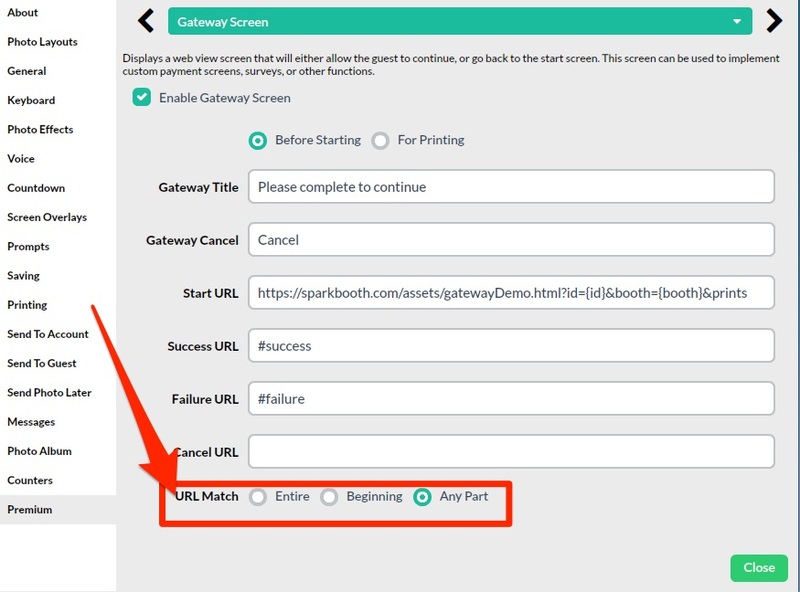 I tested the Gateway Screen with variables. 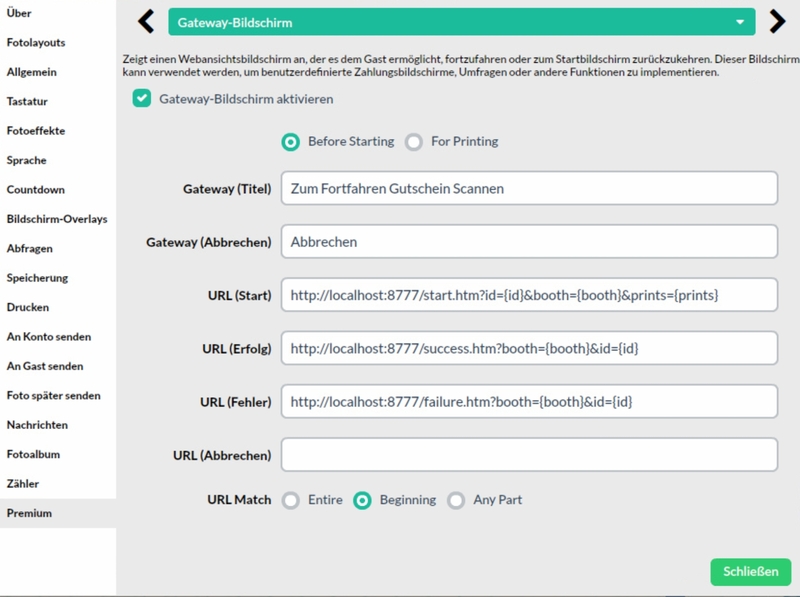 I noticed that the string returned by the server must exactly match the URL stored in sparkbooth. If the server changes the order of the variables or transmits additional values, it will not work. Can Sparkbooth be improved here? Do you have an example of what you are looking for? Because of the different order of the variables in the return value, it does not seem to work. Here the additional promo_code seems to be the problem. first part of the url, would that work for you? your example if you set your success and cancel urls are "
"success,html" and "failed.html" for the urls. All URL Match versions I tested today and they work. - Super ! Thanks for the great service. The setting "Beginning" is really helpful for me. A use for "Any Part" is not (yet) occurred to me :-) Maybe for http (s) deviations. All you have to do is make sure that the order of the variables supplied by the server is the same as the URL, or that you omit variables in the cuccess URL. One could point this out in the documentation. Cool. Thanks to letting me know. The translations are coming later. To be able to use HTML pages universally: Can the mode "Before Starting / For Printing" also be transmitted in one variable? with "session" or "printing" in the next update.